Let's assume that Iran has exhausted the world’s patience over its “peaceful nuclear energy” research program - a program most analysts believe is a cover for a nuclear weapons program. Israel has indicated in clear terms that it will not permit Iran to acquire nuclear weapons. What are Israel's options to derail the program? Most analysts agree that Israel does not have the capability to strike all of the sites associated with the program - estimates range between 12 and more than 20 locations. With limited power projection capabilities, Israeli intelligence analysts will determine the critical portions of the program - the key elements that if destroyed will slow down the effort. 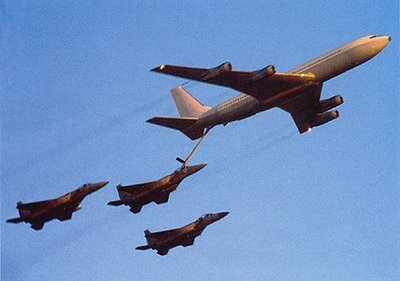 In 1981, the Israeli air force successfully crippled the Iraqi nuclear program with a daring daylight air raid on the key element of that program – the French-built Osirak reactor at At-Tuwaythah, just south of Baghdad. The single most critical element In the Iranian program is thought to be the centrifuge facility at Natanz (also known as the Esfahan enrichment facility). The Natanz facility is a challenging target. The heart of the facility is the centrifuge area, located in an underground, hardened structure. The Iranians are fully aware of Israeli capabilities and no doubt have studied what the Israelis did to the Iraqi program a quarter century ago. They are also aware of the demonstrated capability of the American-made precision-guided penetrating munitions ("bunker busters") in the Israeli inventory. The Iranian program has been dispersed all over the country; the facilities have been built with American and Israeli capabilities in mind and are protected by modern Russian air defense systems. Aside from the difficult nature of the target itself is its geographic location in relation to Israel. The straight-line distance between Israel and Natanz is almost 1000 miles. (At-Tuwaythah was only 600 miles). Since the countries do not share a common border, Israeli aircraft or missiles must fly through foreign - and hostile - airspace to get to the target. The least risky method of striking Natanz is with Israel's medium range ballistic missiles, the Jericho II or III. Details on the exact capabilities of these systems are unknown, but it is believed that the Israeli missiles can reach Natanz. However, to travel that far, the missiles will have a limited warhead weight, probably less than 1000 pounds. It is doubtful that these warheads will be able to penetrate far enough underground to achieve the desired level of destruction. That points to an attack by the Israeli air force's American-made fighter-bomber aircraft as the most likely option. 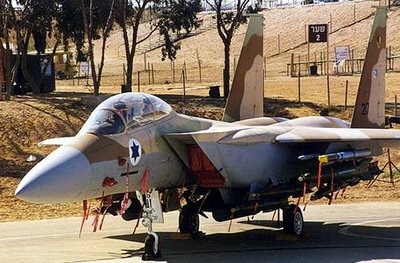 The Israelis have 25 F-15I Ra'am (Thunder) and about 30 F-16I Sufa (Storm) jets. How will the aircraft fly from their bases in Israel to a target located 200 miles inside Iran? There are two realistic ways to get there – either through Saudi Arabia or Iraq, possibly even using Jordanian airspace as well. Either route is a one-way trip of about 1200 miles. Even though Turkey and Israel have had a defense agreement since 1996, using Turkish airspace is not likely politically and would require the attacking aircraft to fly over 1000 miles inside Iranian airspace. It is also doubtful that the Israelis would jeopardize operational security by consulting with the Turks. The Saudi Arabia option (red). The strike aircraft depart southern Israel, enter Saudi airspace from the Gulf of ‘Aqabah or Jordan, fly 800 miles of Saudi airspace to the Persian Gulf and then 300 miles into Iran. Although the Israelis traversed Saudi airspace when they attacked the Iraqi facility in 1981, Saudi Arabia and Jordan have since significantly upgraded their air defense capabilities and share information with each other. Since the Israeli air force does not operate stealth aircraft, there is a reasonable expectation that at some point the aircraft will be detected over Saudi Arabia, either by ground based radar or the AWACS airborne radar platforms. Whether Saudi defenses could - or would - be able to stop the Israelis is uncertain. Perhaps the Saudis would turn a blind eye and claim ignorance - after all, a nuclear-armed Iran is a potential threat to the Kingdom as well. 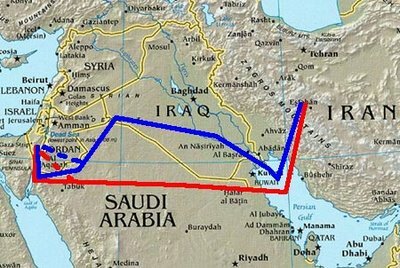 The Iraq option (blue). The strike aircraft depart southern Israel, cross 300 to 400 miles of Saudi airspace or a combination of Jordanian and Saudi airspace, and enter Iraqi airspace as soon as possible, continue across 500 miles of Iraq to the Persian Gulf and then on to the target. Entering Iran from Iraqi airspace would create too much of political firestorm. As it is, the use of Iraqi airspace will require the cooperation of the United States. Although Iraq is a sovereign nation, its skies are controlled by the American military. That said, allowing Israeli aircraft to ingress from Iraq is likely out of the question. 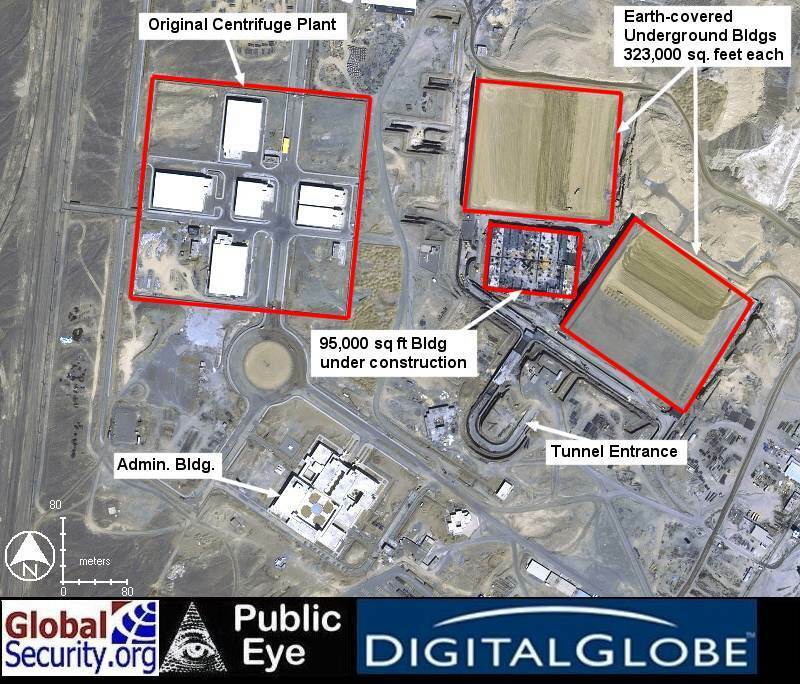 Either of these options carries the risk that once the actual attack on the facility is made, the viability of the return route is in jeopardy – all forces in the area will be on alert. The planners may opt to go to the target one way and back home via another. The limiting factor in Israeli planning is the great distance to the target. Can Israel’s fighter-bombers conduct this mission without refueling? Combat radius - the distance an aircraft can fly and return without refueling - is difficult to calculate, and depends on weapons payload, external fuel tanks, mission profile, etc. It is even more difficult when dealing with Israeli aircraft because they will not release performance data on their assets. The best "guestimate" of the combat radius of the F-15I and F-16I, outfitted with conformal fuel tanks, two external wing tanks and a decent weapons load, is almost 1000 miles. Either of the two possible flight routes above is about 200 miles further than that. To make up for the shortfall, the aircraft could be fitted with an additional external fuel tank, but this will require a reduction in the weapons load. Given the accuracy of the weapons in the Israeli inventory, that might not be problematic. However, if the aircraft are detected and intercepted, the pilots will have to jettison the tanks in order to engage their attackers. Dropping the tanks will prevent the aircraft from reaching their target. Air refueling. This raises the question of air refueling? This is a limitation for the Israelis. While Israel has a large air force, its focus has been on the Arab countries that surround it. In recent years, it has sought the capability to project power against a target over 1000 miles away. To do this, Israel has acquired five B707 tanker aircraft. However, the tankers would have to refuel the fighters in hostile airspace. The B707 is a large unarmed aircraft and would be very vulnerable to air defenses. Looking at the two scenarios, air refueling over Saudi Arabia (red route) would be very risky. It would have to be done at low altitude to evade detection and will probably be at night. Using Iraqi airspace (blue route) will be somewhat less difficult as altitude will not be an issue. Of course, the tankers would have to get to Iraqi airspace and back. The use of Turkish airspace for the tanker aircraft to enter Iraq is probably not an option for the same reasons that it is not an option for the fighters – political sensitivities on the part of the Turks and operational security considerations on the part of the Israelis. Another possibility is American cooperation – allow the Israelis to stage their tankers from an American air base in Iraq. These tankers could fly to Iraq though international airspace around the Arabian Peninsula and over the Persian Gulf. It would be too far for them to return to Israel without landing to refuel, otherwise the Israelis could refuel the fighters over the Gulf. American participation? 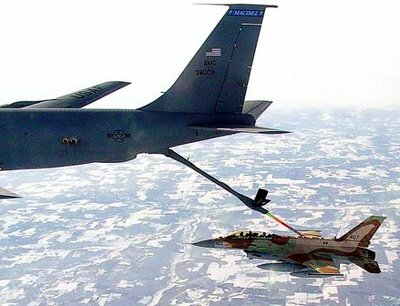 There are other possibilities, from allowing Israeli fighters to land and refuel at U.S.-controlled bases in Iraq, to having U.S. Air Force tankers refuel the Israeli aircraft over Iraq. A diplomatic nightmare, maybe, but certainly a military possibility. Theoretically, the Israelis could do this, but at great risk of failure. If they decide to attack Natanz, they will have to inflict sufficient damage the first time - they probably will not be able to mount follow-on strikes at other facilities. 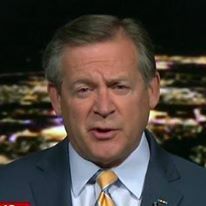 When all the analyses are done, there is only one military capable of the sustained widespread air operations required to eliminate Iran's nuclear weapons research program - the United States. Again, a diplomatic nightmare, but certainly a military possibility.